When I was a little girl, I told my grandma Emily that I thought heaven would be boring. She would answer in her sweet voice, “Oh Susie, if you need your dolls to have fun in heaven, they will be there.” She was so practical and her answer soothed my seven-year old angst. When my youngest was considering heaven, he asked me, “What are we going to do there forever?” In true grandma Emily fashion I told him, “If you need a basketball court to have fun and enjoy heaven, there will be gold-surfaced courts!” Happiness! Now, that I’m the old one I realize that heaven is going to be one big holy celebration for eternity! As a young adult I was sinning my life away and grandma Emily knew it. On her deathbed (I tell you the truth) she gave me such a rebuke about my life style that it literally stopped me in my flip-flops and began the end of my prodigal living. I know the moment I completely surrendered my life to the Lord and chose to live for Him there was a big party of one! Maybe two or three! But, in the hallways of heaven, my grandma Emily was doing the celebratory, happy hallelujah dance because her girl had done a U-turn! Did you know that when ONE person repents and gives their heart to the Lord, the very angels of heaven CELEBRATE? It says so right here! O! What a day of celebration that will be! Glory! What a wonderful way to think of heaven, your FMF neighbor. Sabrina, I’ll be over for a visit in a little while! I used to hear this saying that went something like this: “Don’t be so heavenly minded that you are no earthly good.” I think that saying is all wrong and should be turned around. “Be heavenly minded so that your are earthly good.” Thank for giving me reason to celebrate this morning. Mary, He is so worthy of celebration, isn’t He!!! I’m visiting from FMF (#29) . I enjoyed your post. It can be hard to imagine what heaven will be like- I’m grateful for the reminder that it is a place of joy and celebration. Carly, it is going to be more than words can describe! Your FMF neighbor one house away! I love that there will be mass celebration in heaven…because of what and Who will be there. Because of Jesus. Beautiful post. 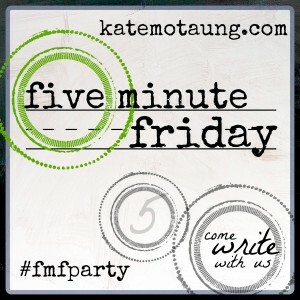 I’m camped at #26 at #fmfparty today. Yes ma’am, been at your house already this morning! Beautiful post! 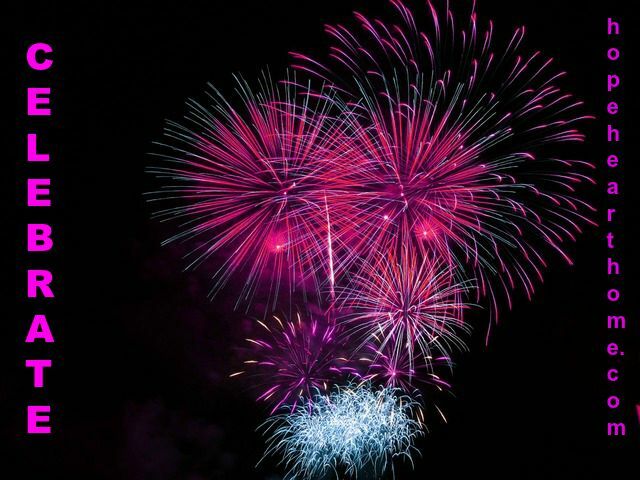 It will be awesome when we get to heaven and get to celebrate! Love THIS: “Can you even imagine the celebration we are going to have when the Lord Jesus Christ says to His church, “Come, let us celebrate the wedding feast of The Lamb and His bride.” Parked in the #6 spot this week. Tara, can’t even imagine in my wildest imagination!!! I can’t wait to celebrate in heaven! I think of the angels grooving to a holy beat when we do baptisms at our church. Can you even imagine the band and the choir up there? The moves they must do? I mean, stuff we’ve never seen! Break dancing like we’ve never seen. LOL!! !